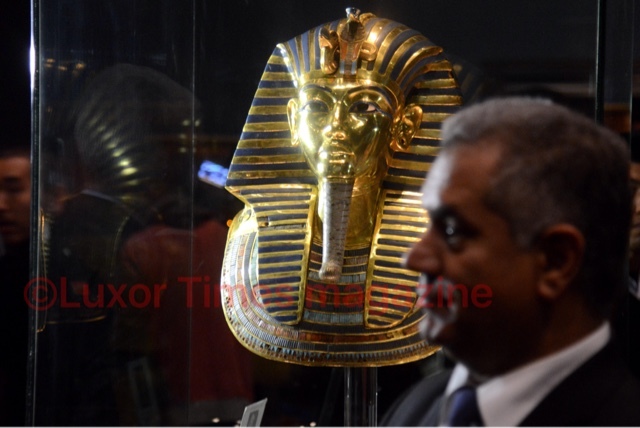 FAfter 68 days since the famous golden mask of King Tutanhamon was moved from its display case and taken into room number 55 for restoration. 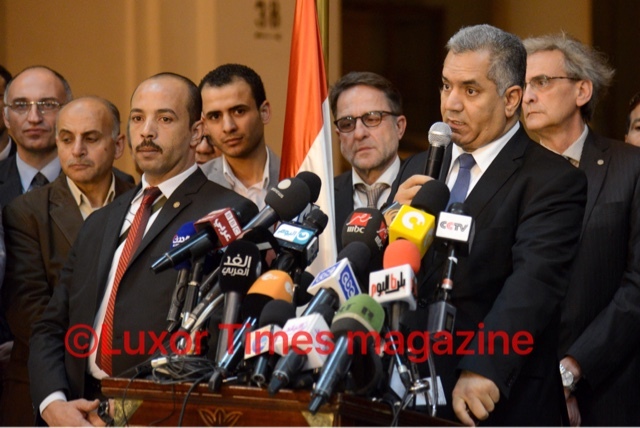 It is finally back to where it belongs in the Egyptian museum in Tahrir. 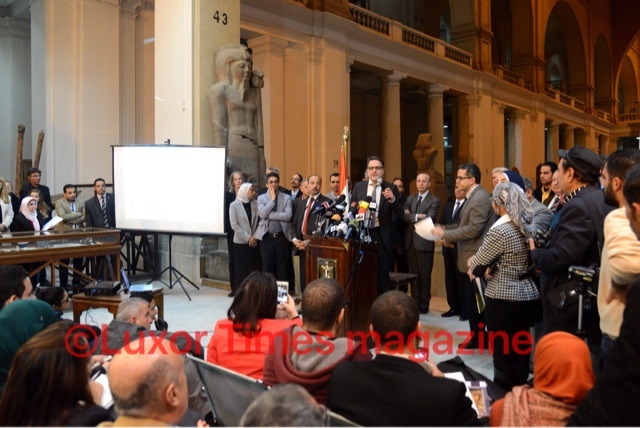 Dr. Manding El Damaty (Minister of Antiquities), Christian Eckmann (German conservation specialist), Dr. Stephan Seidlmayer (Head of DAI Cairo) and the representative of German ministry of foreign affairs spoke at the press conference which was held at the Egyptian museum on Wednesday evening. 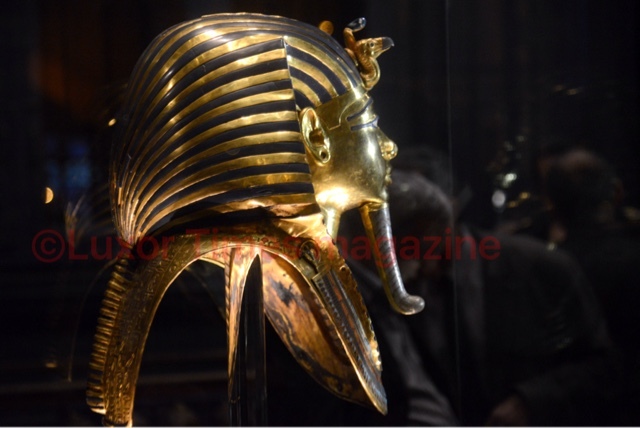 The mask which was moved on the morning on 10th of October, it was moved back to its case amongst the other King Tutankhamen's treasures on Wednesday evening after closing hours of the museum. 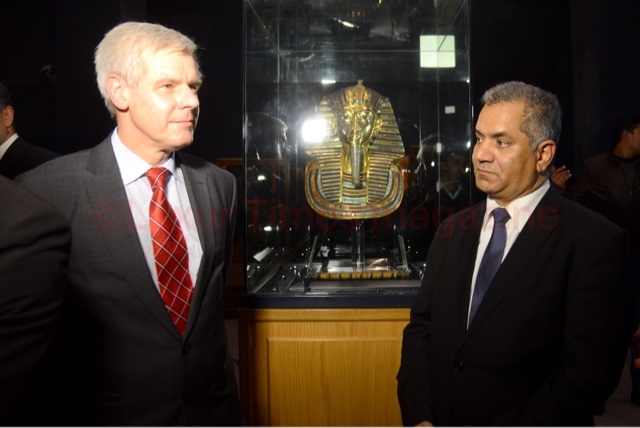 The moving actually started 4:45pm and the mask was already in its place by 5:30pm under the supervision of Dr. El Damaty, Dr. Khalid Anany (Director of The Egyptian Museum) and Dr. Moamen Othman (Head of restoration department at the museum).